Each tooth is individually process by CNC machining. 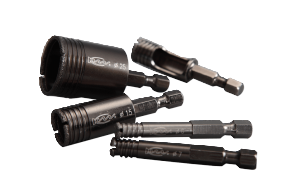 Precision diamond ground teeth for razor sharp cutting. 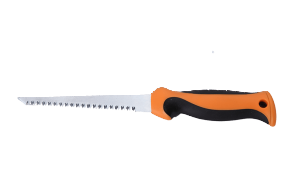 3 sharp cutting edges on each tooth which cut wood fiber faster and cleaner. 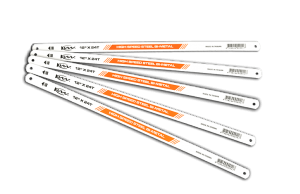 Suitable for both rip or cross cut applications. Cuts much faster than conventional punched teeth. Provides clean and smooth cutting performance. Tooth tip is heated by ultra high frequency. Designed zone is heated and hardened in a very short time. Hardened area is only at cutting edge around each tooth, softer core avoids tooth breakage. Above HRC63 (HV780) hardness can be easily achieved. Impulse hardened teeth provide longer blade-life, no resharpening required. Concerned about the rapid loss of rainforest around the world. 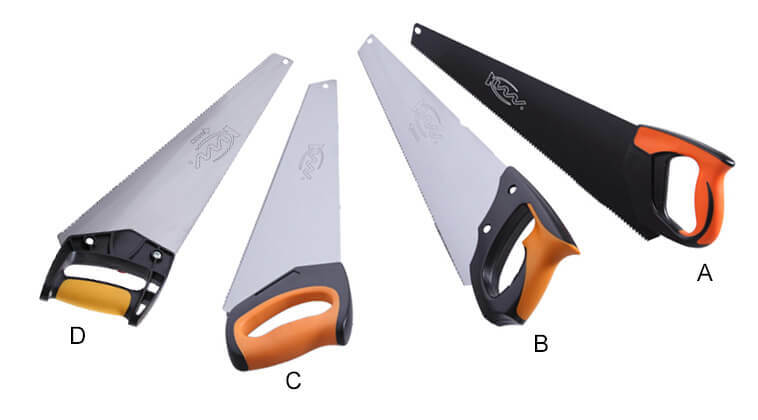 K&W has been trying to find a substitute material to educe natural wood usage on saw handle. With ergonomics in mind and computer aided design(CAD), a new series of handle has been developed and is named "DUALGRIPTM". DURLGRIPTM handle is constructed of one hard material in the core and overmoulded with another soft material whilst the hard material gives the handle strong and durable structure in the core. 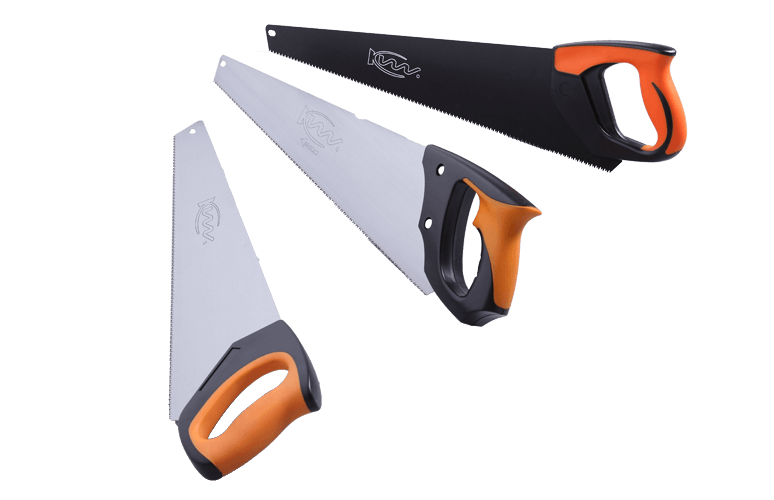 The soft material provided comfortable grip of the saw in either dry or web conditions.